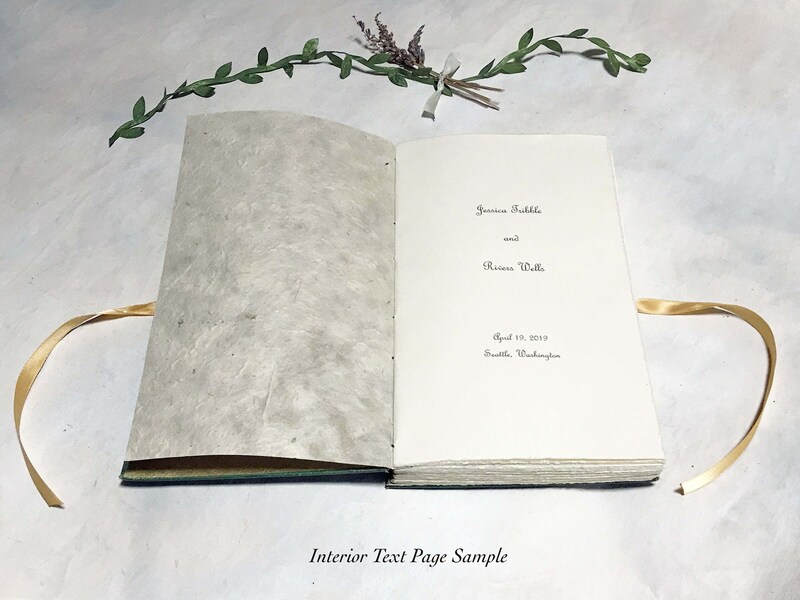 A unique made to order blank guestbook for guests to sign as well as add photos. 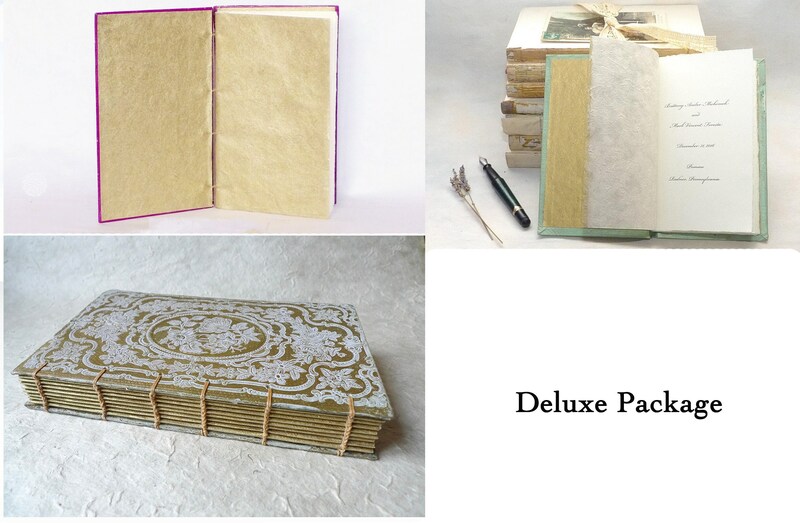 Perfect for your treasured memories! 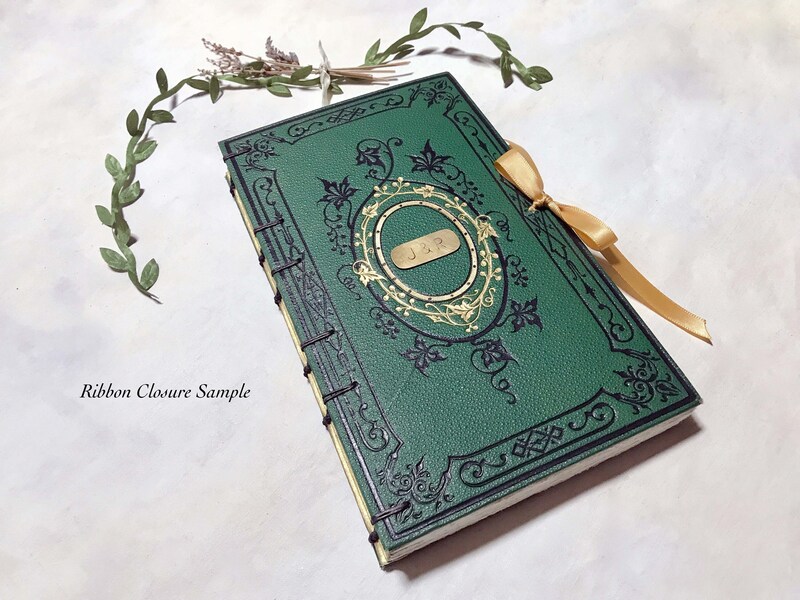 How it works: Spellbinderie upcycles antique French books by rebinding the cover with blank paper then adding personalized touches. 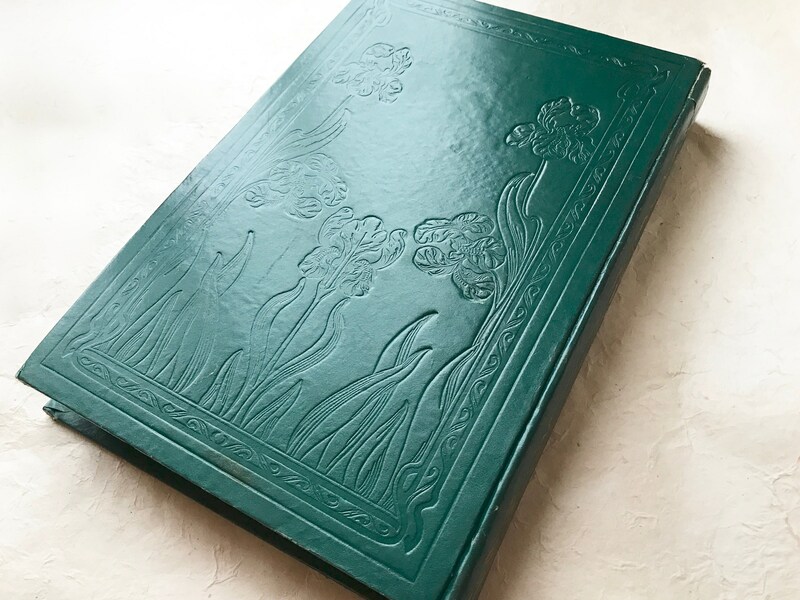 This listing offers the green & gold book shown in the first 3 photos. 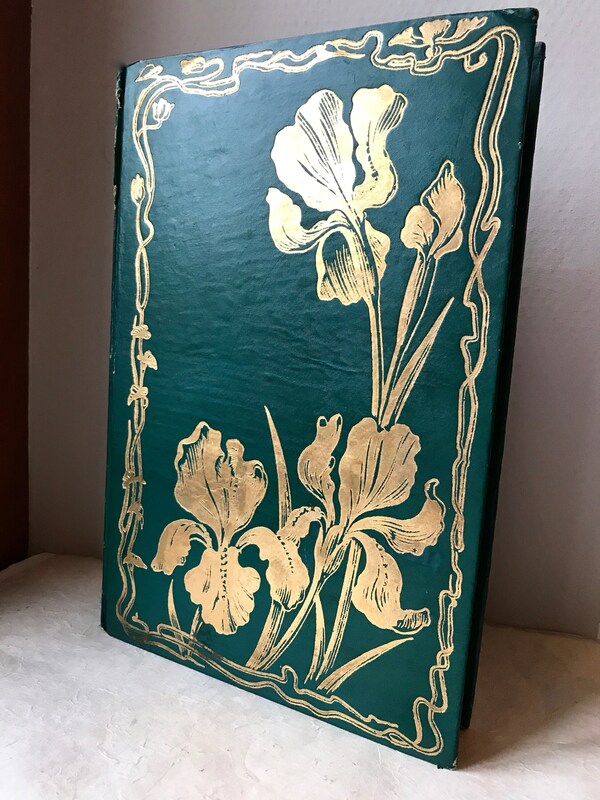 The gorgeous ornate green and gold cover works wonderfully for Spring & Summer weddings and romantic anniversaries, for yourself or to give as a gift. 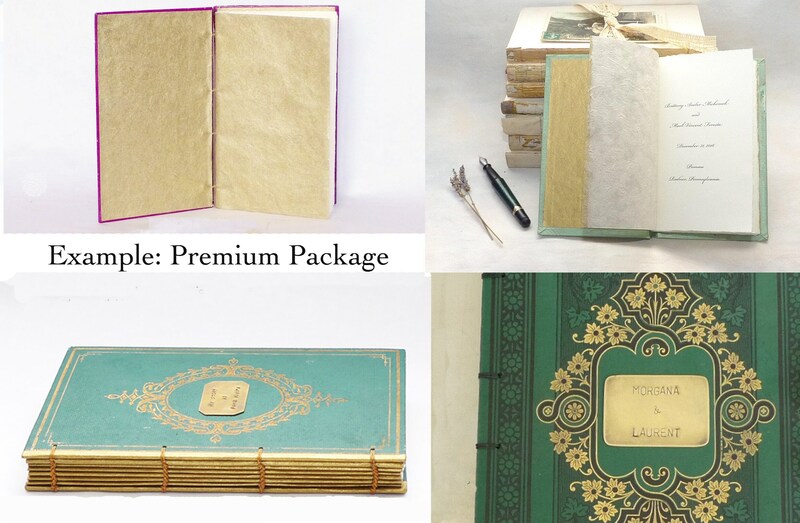 Choose one of the packages below or contact me with a request for other options! 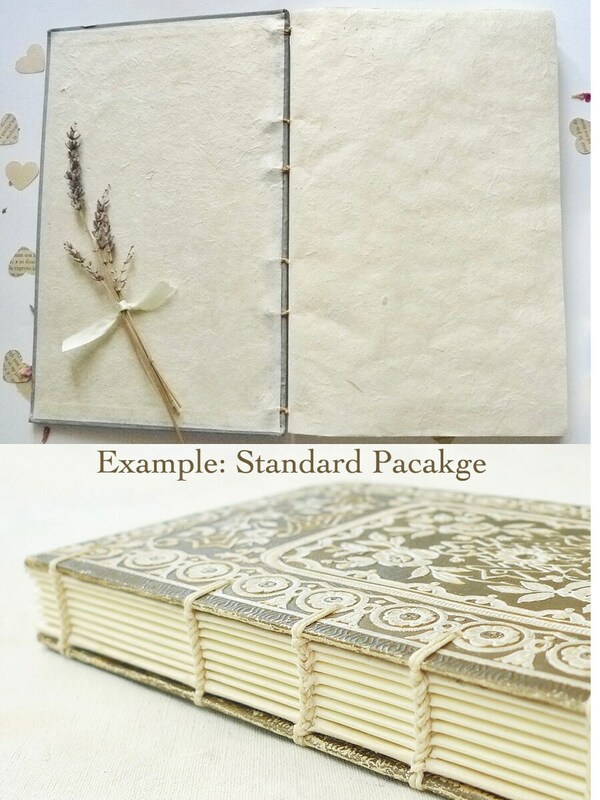 RIBBON: Same as Premium plus a ribbon to tie the book closed. 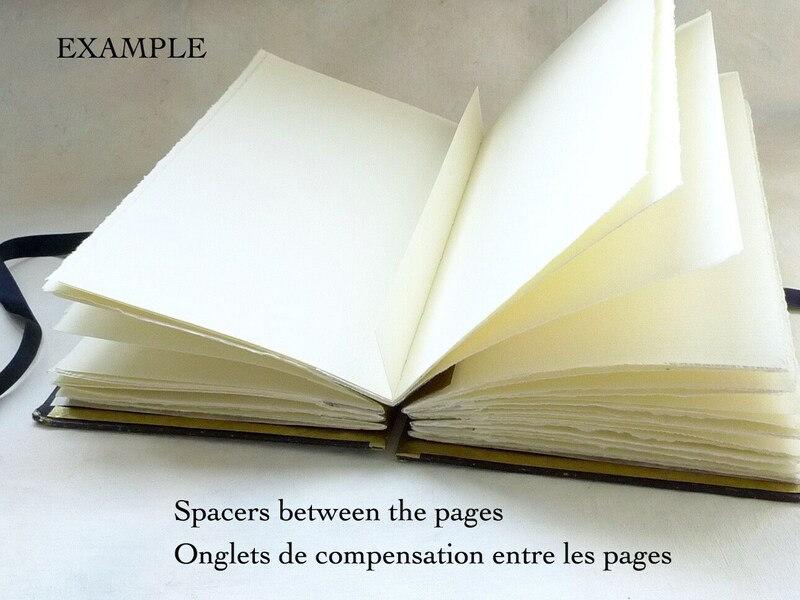 Scrapbooks are made with spacers (narrow strips of ivory paper) to expand the spine so photos can be added without deforming the binding. 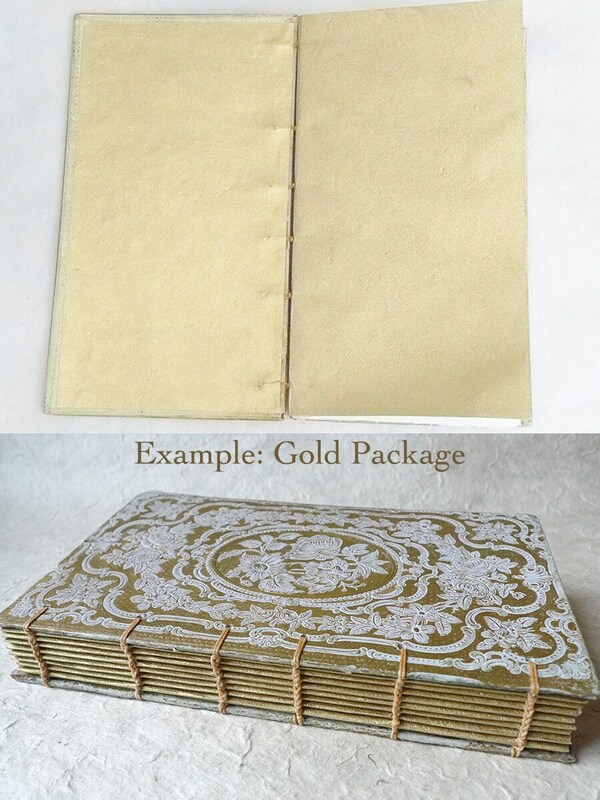 Recommended if you'll be adding more than 10 - 15 photos to your album.